Manchester City is a cracking bet to win the English Premier League championship because Manchester United may struggle, at least relatively, as it enters its post-Alex Ferguson era and Chelsea is under the odds even allowing for the return of its prodigal son, magnificent manager Jose Mourinho. Bookmakers are having trouble splitting Manchester City, Manchester United and Chelsea at the top of their English Premier League title markets even though there seems to be a growing consensus among football punters that the Blues from north of Watford Gap are the team that are worth backing. Manchester City, Manchester United and Chelsea have shared out the last eight English Premier League crowns and, with Arsenal still minus absolutely top-class players at both ends of its side, it seems that the Citizens, Red Devils and Blues will fight out this season’s competition once again. Before discussing Manchester City, it makes sense to address Manchester United and Chelsea. Manchester United will not go into meltdown this term – the Red Devils have far too many quality performers on their books to miss out on qualifying for the UEFA Champions League and making a decent fist of every tournament in which they participate – but Ferguson was a winner from head to toe, whereas Moyes is a loser until proven otherwise. Moyes had ample time as Everton boss to win a major piece of silverware and every time that the Toffees got close they bottled it. Surely that has to be a significant concern for Manchester United fans. Also, Moyes has shown signs of cracking under pressure already, with his handling of the Wayne Rooney situation taking its toll. That Manchester United deserved to take out last season’s English Premier League title is beyond dispute but there is a school of thought – a rather large one – that the Red Devils were assisted by the gross failings of their main rivals. Some punters who are on Chelsea to win the English Premier League crown have obtained value odds but they were the ones that gambled on the Blues reinstalling Mourinho and snapped up prices around the 6.00 mark. That is not to say that the Special One will not work his magic at Stamford Bridge but Chelsea’s squad is slightly inferior to that of Manchester City and, at the current odds, the Citizens appeal more. Manchester City ought to feel embarrassed that it finished 11 points behind Manchester United in last season’s English Premier League and bowed out of not only the UEFA Champions League but also the UEFA Europa League ingloriously. In hindsight, Manchester City won its first English title for 44 years in spite of Roberto Mancini rather than because of him. Mancini’s man-management skills were suspect and so, too, was his grasp of tactics. 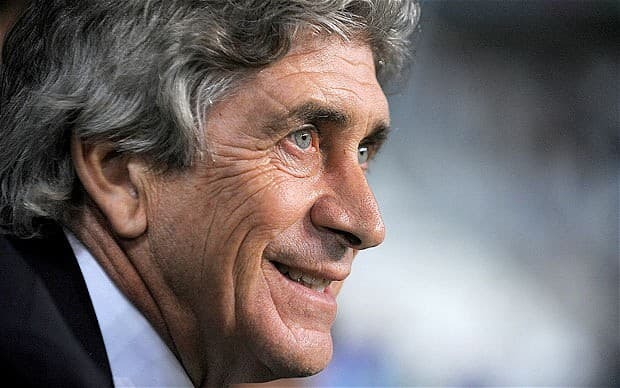 Manuel Pellegrini has made some smart acquisitions, particularly in forward positions, and his resume suggests that he is a strong leader of men. If Manchester City is the best bet to top the English Premier League ladder at odds of around 3.25 with Ladbrokes, Crystal Palace is the best bet to finish on the bottom rung at odds of around 13-5 at Betfred. That really is a terrifically attractive offer given the manner in which Crystal Palace reached the top flight and what has happened during the summer months. Crystal Palace was fortunate to qualify for the English Championship play-offs, with the Eagles being the 15th best team overall and the fourth worst away side in the second half of last term’s second-tier division. Long-term injury casualty Glenn Murray and Manchester United recruit Wilfried Zaha scored nearly half of Crystal Palace’s goals last season so the Eagles look light on for striking talent, at least until Murray returns at around Christmas time. Twelve of the 21 play-off winners have gone straight back down since the English Premier League came into existence and Crystal Palace does not have the financial power to keep up with the Cardiffs and the Hulls, let alone everyone else. Head-to-head English Premier League betting tends to throw up great bets if one has the patience to wait nine months for a short-priced winner or two. All one has to do is find an underrated team pitched against an overrated side. The picks of the punts are Aston Villa at odds of around 1.83 to finish above Fulham and Southampton at odds of around 2.00 to place higher than Newcastle. The Magpies looks like a crisis club waiting to happen, with the tension between Joe Kinnear and Alan Pardew palpable before the big kick-off.